Comment: I would like to get an estimate for blown-in insulation. Comment: Our house is over 50 years old. 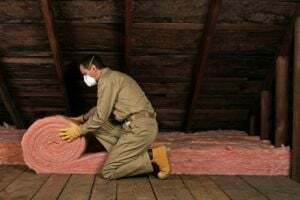 We need the attic cleaned out and new insulation. I think I want spray foam but I need to talk to someone about it. Comment: Creating a sound studio in a 10 * 10 room with windows/shutters, entrance/exit door with artificial wood floor, with an adjoining room. Comment: New home-bedrooms are on the side closest to busy street, train tracks and path of airplanes. Need options and estimates for soundproofing solutions. Bedrooms top priority but entire home needs better insulation. Comment: We feel our insulation is very weak and need insulation in the attic. Comment: All cellulose attic insulation was removed for whole house rewire. Want to replace with earth friendly spray foam. Thank you. San Jose Insulation Contractors are rated 4.75 out of 5 based on 365 reviews of 12 pros. Not Looking for Insulation Contractors in San Jose, CA?